A stunning replica of the 36,000 year-old Grotte Chauvet, home to the oldest figurative cave drawings in the world and an Unesco Heritage site, opened to the public at the weekend. Here's a look inside the country's latest tourist attraction. The grotto at Vallon-Pont d'Arc in the Ardeche region of southern France, is a reproduction of the closely guarded Grotte Chauvet, which was granted World Heritage status last year. The French president had already officially inaugurated the museum earlier this month and it officially opened to the public on Saturday. The replica cave, which took a team of scientists two and a half years to create, will enable tourists from around the world to continue to see the frescos of painted animals without damaging the original cave. Scientists from Imperial College London have released new research arguing that Roman general Julius Caesar suffered from mini-strokes, going against previous diagnoses of epilepsy. More than 2,000 years since Caesar died - assassinated by his own senators - researchers have claimed the military leader was struck by a debilitating disease in later life. Some academics have previously argued that Caesar suffered from epilepsy, a brain condition which causes seizures. But writing in the journal Neurological Sciences, researchers Francesco M. Galassi and Hutan Ashrafian have argued that the general suffered from cerebrovascular disease. Forget about the Viking Age beginning with the brutal sacking of Lindisfarne Priory in 793. According to new research, Norwegian Vikings began long sea voyages at least 70 years earlier, but they came looking for trade not plunder. Archeologists digging beneath the old marketplace of Ribe, have stumbled upon the remains of reindeer antlers from Norway, which they believe prove trade links with Vikings far to the north. "This is the first time we have proof that seafaring culture, which was the basis for the Viking era, has a history in Ribe. It's fascinating," Søren Sindbæk, a professor at the University of Aarhus and one of the others of a new study, told ScienceNordic. 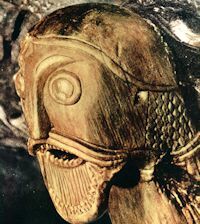 Sindbæk believes early trading trips between Norway and Denmark gave the Vikings the seafaring skills that would be used some 70 years later to strike England. 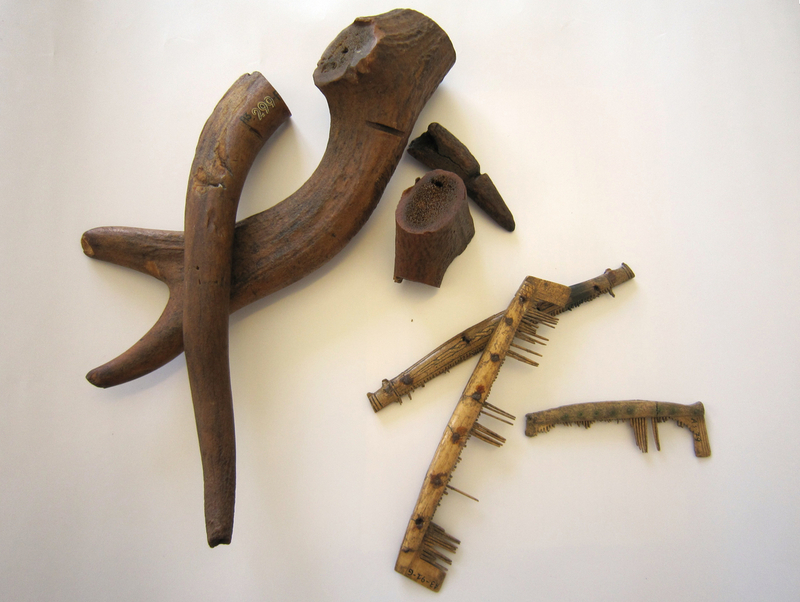 Antlers from Norwegian reindeer have been unearthed in Ribe, the oldest commercial center in Denmark. The antlers have been dated to A.D. 725, some 70 years before the Viking raid on the Lindisfarne monastery in northern England. “The Viking Age becomes a phenomenon in Western Europe because the Vikings learned to use maritime mobility to their advantage. They learned to master sailing to such an extent that they get to the coast of England where the locals don’t expect anything. They come quickly, plunder the unprepared victims, and leave again—a sort of hit and run,” Søren Sindbæk of Aarhus University toldScience Nordic. The Norwegian reindeer antlers suggest that Norway’s earliest so-called Vikings developed their maritime skills through trade. “Now we can prove that shipping between Norway and the market town of Ribe was established prior to the Viking era, and trade networks helped to create the incentives and the knowledge of the sea, which made the Viking raids possible. It is the first time that we can clearly link two very important phenomena, the lock and key if you like, of the Viking Age,” he said. For more, see "The First Vikings." The story of the Vikings begins in the year 793 AD, after Norwegian Vikings landed in England on the first official Viking raid. To this day, these fierce raids are the most famous of Viking stories. Now, a new study suggests a more peaceful start to Viking seafaring -- and it all began in Denmark. Three archaeologists from the University of Aarhus (Denmark) and the University of York (UK) have shown that maritime voyages from Norway to Ribe, the oldest commercial centre in Denmark, occurred long before the Viking age officially began. 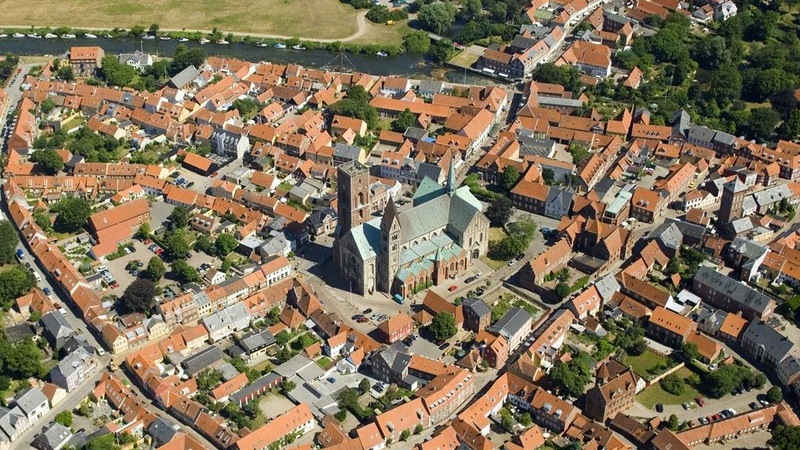 The study shows that early Vikings travelled to Ribe in South Denmark as early as 725 AD. The researchers discovered deer antlers in the oldest archaeological deposits of Ribe’s old marketplace and they turned out to be the remains of Norwegian reindeer. Almost 2,000 years ago somebody neatly packed cremated human bones into an old cooking pot, put the lid on, and set it by the banks of a smelly little urban river, the Walbrook in London. The discovery has deepened the mystery of scores of Roman skulls found nearby, polished till they gleam by tumbling among the pebbles of the riverbed. It had been suggested that the skulls ended up in the river – which vanished into culverts centuries ago – by accident, eroded out of a Roman cemetery and washed downstream until they came to rest at bends in the bank. The new finds suggest a grimmer explanation. Jay Carver, Crossrail’s lead archaeologist on the site yards from the bustling commuters at Liverpool Street station, said the thrifty reuse of the old pot, and its deliberate placing by the river, will force archaeologists to look again at the skulls found in this excavation and generations of previous digs around the river. Neanderthals went extinct in most of Europe around 40,000 years ago, some 5,000 years after the arrival of the first modern humans. “The issue of Neanderthal extinction is very complex, and very little is agreed upon,” Anna Goldfield of Boston University said at the annual meeting of the Society for American Archaeology, reported in Live Science. She thinks that mastery of fire may have given modern humans an advantage over Neanderthals in the struggle for survival. Cooking would have provided modern humans with more calories from the same amount of food, and it kills bacteria, making the food safer to eat. A 2,000-year-old bronze and enamel clasp has been unearthed south of the town of Nexø on the island of Bornholm. 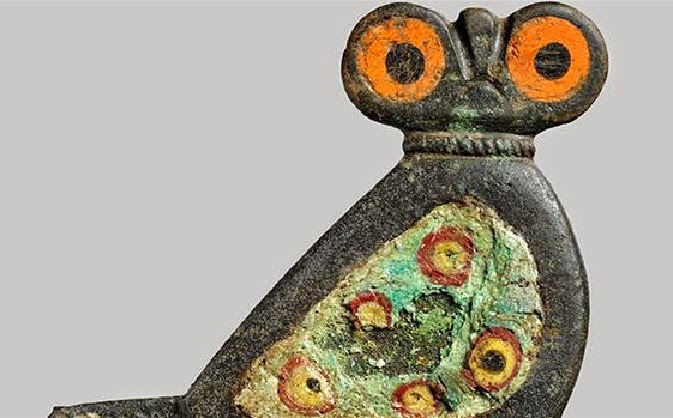 Shaped like an owl, the bronze and enamel button has large orange eyes and colourful wings. The owl was produced in regions along the Roman frontier that ran along the Danube and the Rhine at the time, so it may originate from ancient Cologne or another nearby town. The clasp was usually worn by men to hold their cloaks closed, so it is possible that a man from the island was a Germanic mercenary in the Roman army and brought the owl back to Bornholm with him. 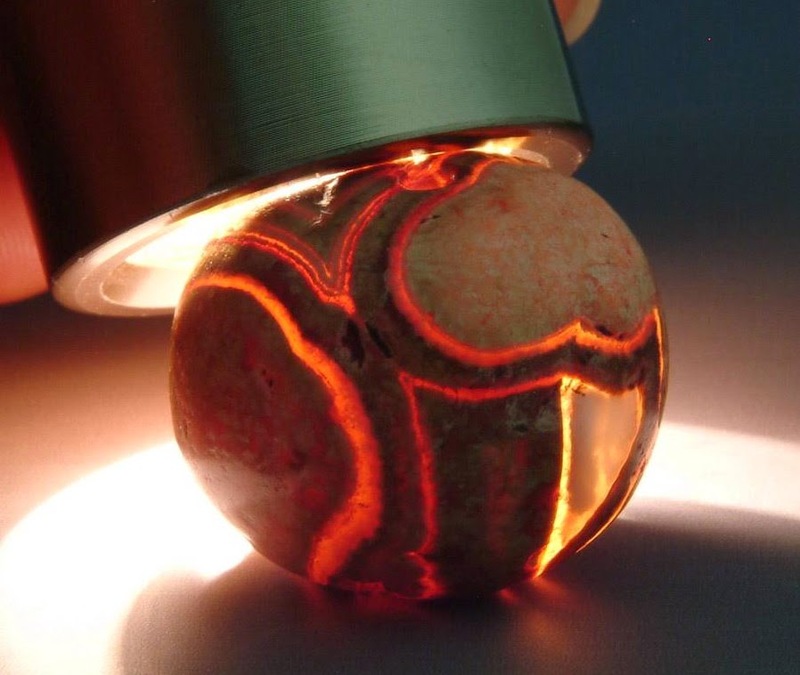 Thermoluminescence is used extensively in archaeology and the earth sciences to date artefacts and rocks. When exposed to radiation quartz, a material found in nature, emits light proportional to the energy it absorbs. Replicating the very low dose of background radiation from natural sources present in quartz is a key precondition for precise and accurate dating results. Italian scientists have now developed a method to control the accuracy of the dose calibrations delivered to the samples during laboratory irradiation with heavy particles, replicating natural radiation exposure. These findings have just been published by Lara Palla from the National Institute of Nuclear Physics (INFN), Italy, and colleagues in a paper in EPJ Plus. Using oxygen and lithium ions from the Tandem accelerator at INFN LABEC in Florence, they found that their measurements were accurate to within 1%, despite large fluctuations in the irradiation beam. 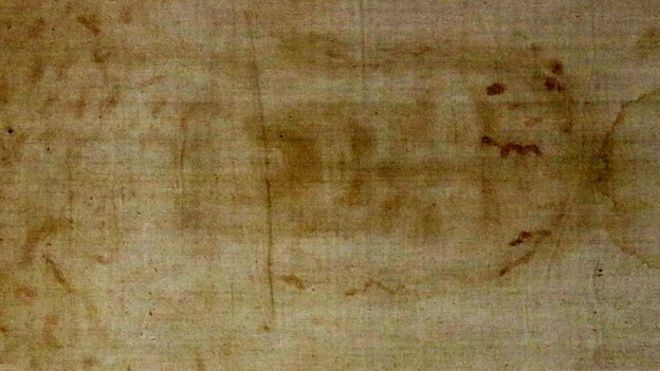 The Turin Shroud has gone back on public display in the Italian city's cathedral, after a break of five years. The 4.4-metre-long (14-ft) cloth is on show until 24 June. Viewings are free but must be booked. One million people have already signed up. Some devotees believe the shroud is the burial cloth of Jesus Christ. Sceptics point to carbon dating that suggests it is a medieval forgery from the 1300s. Te University of Valencia is studying the popular Latin of Roman Hispania through the graffiti found on 'terra sigillata' ceramic ware. As part of this approach, analyses of the graffiti kept in the Spanish Royal Academy of History have just been started with a recent publication in the journal Lucentum: Anales de la Universidad de Alicante'. 'Research focuses on the words written on the surface of these everyday ceramic pieces which can provide linguistic data, but also territorial and ethnological information', says the author of the work, Josep Montesinos, professor of Art History at the Faculty of Geography and History. Xaverio Ballester, professor in the Department of Classical Philology at the University of Valencia is also part of the team. Kverkahellir is close to Seljalandsfoss waterfall. Photo: Geir Ólafsson. Archaeologist Kristján Ahronson has concluded that Kverkarhellir, a manmade cave between waterfall Seljalandsfoss and farm Seljaland in South Iceland, was partly created around 800 AD, before the settlement of Iceland, which, according to sources, began in 874. Ahronson presented the results of his analysis of volcanic ash layers from around the cave, among other findings, covered in his book Into the Ocean, at the University of Iceland yesterday, RÚV reports. In 2012, a detailed report of prehistoric cannibalism in Gough’s cave in Cheddar Gorge (Somerset), UK, attracted media attention with thenews that a group of prehistoric humans, otherwise known as Magdalenians, systematically and ritualistically consumed and utilized the remains of members of their own group about 14,700 years ago. 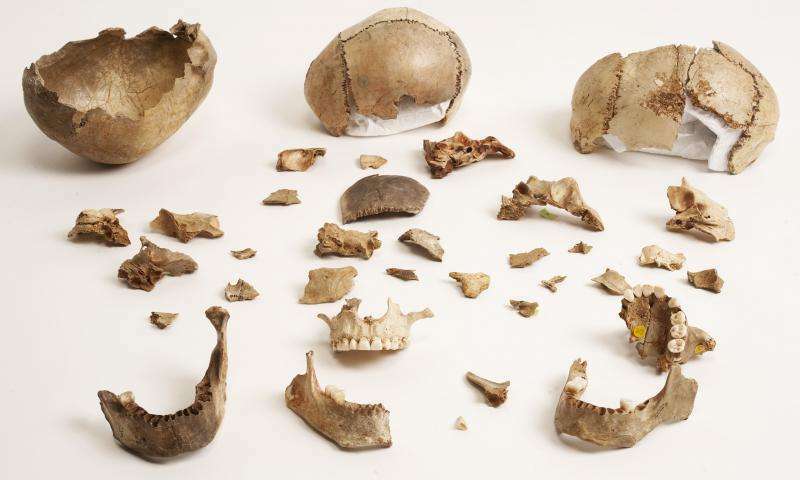 Now, a new report published in the Journal of Human Evolution sheds additional light on the discovery, narrowing the time frame in which the cannibalistic events took place and the extent of the activity. 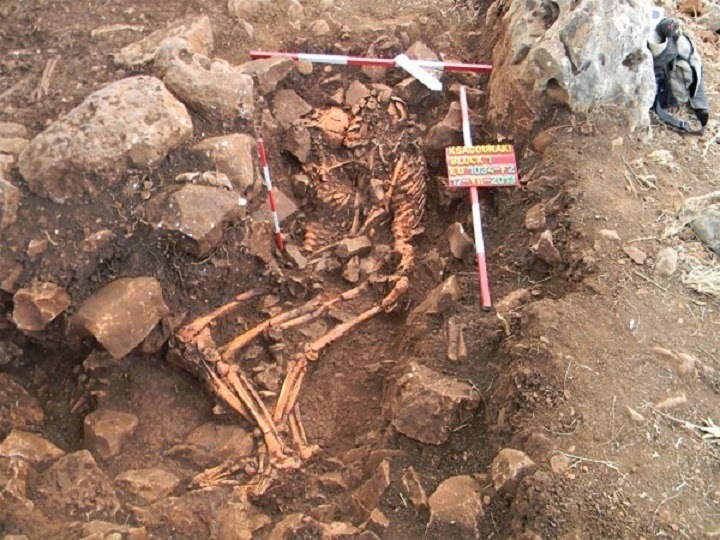 Ancient human remains from Gough’s Cave, located in southwest England, exhibit signs of a sophisticated culture of butchering and carving of human remains, according to scientists from the Natural History Museum of London, University College London, and IPHES and the Universitat Rovira I Virgili in Spain. In 2011, scientists from the museum announced that the earliest-known skull cups had been found in Gough’s Cave. “We’ve identified a far greater degree of human modification than recorded in earlier research. We’ve found undoubting evidence for defleshing, disarticulation, human chewing, crushing of spongy bone, and the cracking of bones to extract marrow,” Silvia Bello of the Natural History Museum said in a press release. Archaeologists have uncovered a "very significant" Pictish fort after scaling a remote sea stack off the coast of Aberdeenshire. 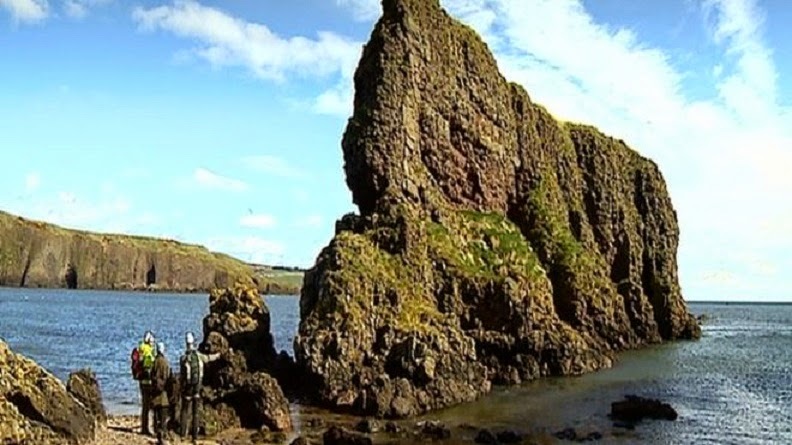 The team from the University of Aberdeen believe the ancient remains could be one of many along the coast south of Stonehaven. It is the first time an official excavation has been carried out there. Pictish symbol stones were said to be found on the Dunnicaer sea stack by locals in the 19th Century. Untersuchungen von altem Zahnstein ergaben, dass Menschen bereits in der Altsteinzeit Pflanzen und Pilze konsumierten. Über die Nahrungsgewohnheiten der Menschen, die im Jungpaläolithikum, dem jüngeren Abschnitt der Altsteinzeit vor 18.000 bis 12.000 Jahren während der archäologischen Kulturstufe des Magdaléniens lebten, ist nur wenig bekannt. 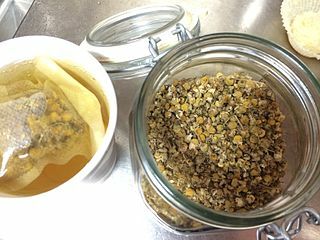 Besonders schwer lassen sich pflanzliche Nahrungsstoffe nachweisen, denn sie hinterlassen nur geringe Spuren im menschlichen Körper. Unter der Leitung von Robert Power vom Max-Planck-Institut für evolutionäre Anthropologie in Leipzig hat ein internationales Forscherteam den uralten Zahnstein von Menschen aus dem Magdalénien untersucht, deren Überreste man in der El Mirón-Höhle in Spanien ausgegraben hatte. Die Forscher konnten nachweisen, dass diese Menschen bereits im Jungpaläolithikum zusätzlich zu anderen Nahrungsbestandteilen auch verschiedene pflanzliche Nahrungsstoffe und Pilze auf der Speisekarte hatten. 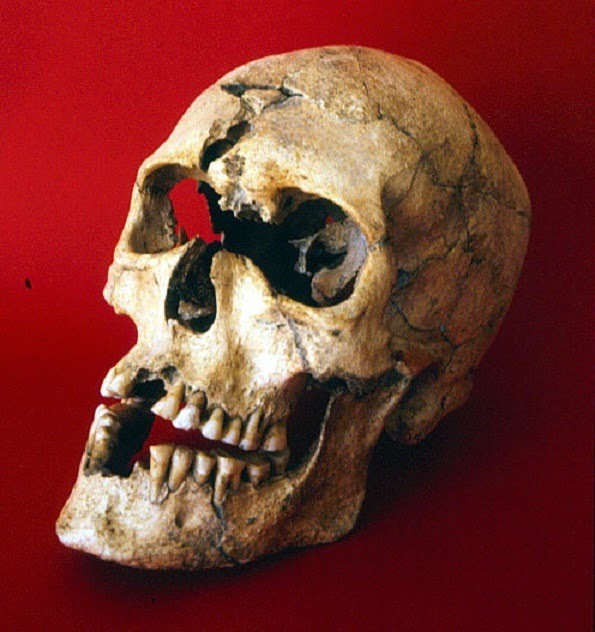 Lower jaw deformities from birth, a missing right hand and foot bones, trepanning to exorcise “bad spirits” and a lonely burial were the lot of a middle-aged Saxon or early medieval man found face down in a shallow grave, say archaeologists investigating skeletons found at a Hampshire Roman villa during the 1960s. The latter of two male discoveries at Rockbourne, near the town of Fordingbridge on the River Avon, was originally found in 1965. Analysts believe the community would have buried him in a lonely place and weighed him down with stones after viewing a deformity on the left hand side of his jaw as a sign of his troubles and a potentially evil influence. 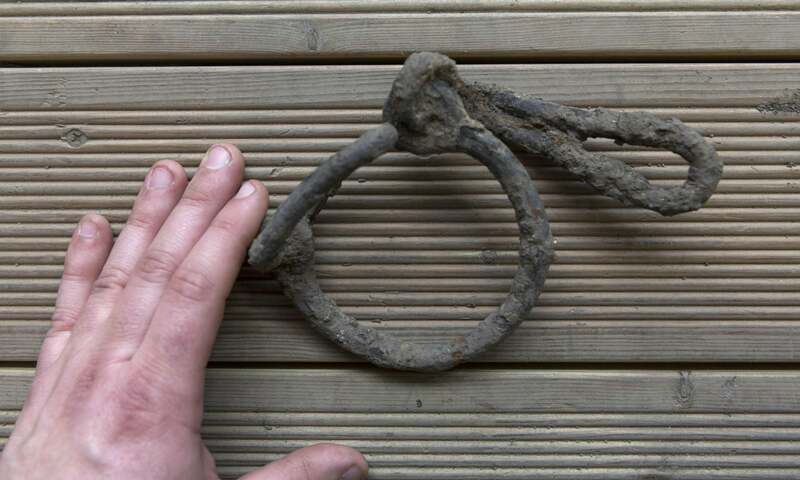 Archaeological finds dating back to AD 200 have been discovered in a field near Royston. The artefacts, which form part of a burial, probably of a wealthy and cosmopolitan individual, are a unique find in Britain and experts in ancient finds are already clamouring to study these rare objects. Discovered late last year by a local metal detectorist in a field in Kelshall, a complete Roman jug was the first thing to be found. 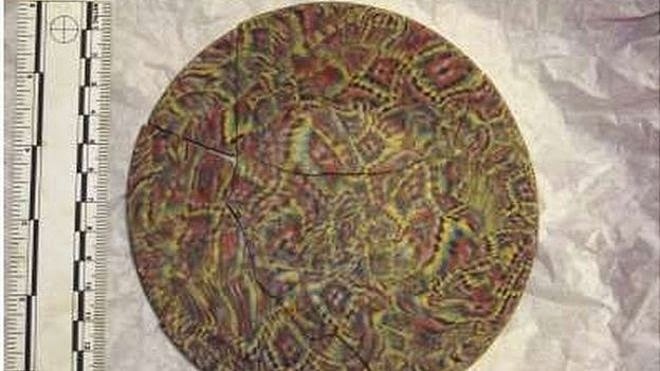 A bronze dish, a larger jug and then a third jug were soon uncovered. Realising this was an important find it was reported and Keith Fitzpatrick-Matthews, North Hertfordshire District Council’s (NHDC) Archaeology and Outreach Officer, decided that it would be a good idea to investigate further. Aalysis of ancient cadavers recovered at a famous archaeological site confirm the existence of a sophisticated culture of butchering and carving human remains, according to a team of scientists from the Natural History Museum, University College London, and a number of Spanish universities. Gough's Cave in Somerset was thought to have given up all its secrets when excavations ended in 1992, yet research on human bones from the site has continued in the decades since. After its discovery in the 1880s, the site was developed as a show cave and largely emptied of sediment, at times with minimal archaeological supervision. The excavations uncovered intensively-processed human bones intermingled with abundant butchered large mammal remains and a diverse range of flint, bone, antler, and ivory artefacts. New radiocarbon techniques have revealed remains were deposited over a very short period of time, possibly during a series of seasonal occupations, about 14,700 years ago. 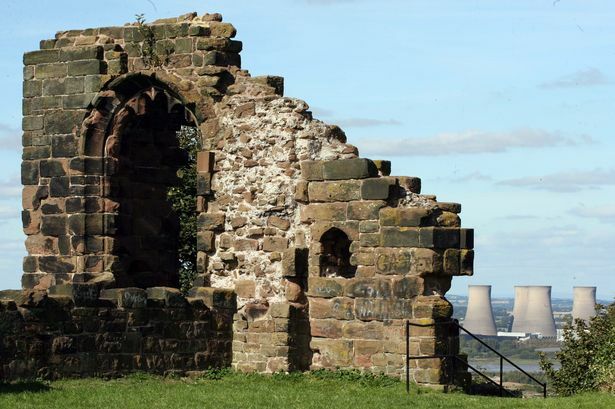 Halton Castle is to host its first archaeological dig in nearly 30 years and residents have been invited to take part. More than 50 archaeology fans packed into a Runcorn church hall on Tuesday night to find out details about the first excavation at Halton Castle in nearly 30 years. The dig is due to take place in July and will give residents a chance to take part in uncovering the secrets hidden beneath the soil. St Mary’s Church Hall on Castle Road hosted the meeting. 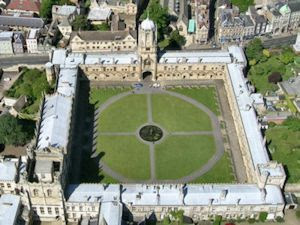 Participants will receive basic training under the guidance of professional archaeologists from Salford University. Roman emperor Julius Caesar may have suffered a series of mini-strokes, explaining his dark mood in later life, according to doctors at London's Imperial College. Caesar, who lived from 100 to 44 BC, has long been the focus of medical debate, with the common assumption being that he suffered from epilepsy. But medical experts from the London university have reexamined his symptoms, which included vertigo, dizziness and limb weakness, and concluded that he may have in fact suffered from a cardiovascular complaint. "To date, possible cardiovascular explanations have always been ruled out on the grounds that until his death he was supposedly otherwise physically well during both private and stately affairs," said an excerpt of the study written by Francesco Galassi and Hutan Ashrafian. Emory Health Sciences—The ability to make a Lower Paleolithic hand axe depends on complex cognitive control by the prefrontal cortex, including the "central executive" function of working memory, a new study finds. PLOS ONE published the results, which counter theories that Stone Age hand axes are simple tools that don't involve higher-order executive function of the brain. "For the first time, we've showed a relationship between the degree of prefrontal brain activity, the ability to make technological judgments, and success in actually making stone tools," says Dietrich Stout, an experimental archeologist atEmory University and the leader of the study. "The findings are relevant to ongoing debates about the origins of modern human cognition, and the role of technological and social complexity in brain evolution across species." 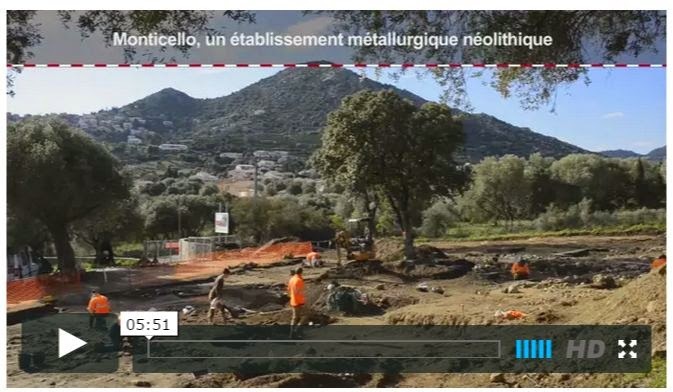 Since the Marillac site in France was unearthed, the discovery of fossil remains of animals (90% belonging to reindeer), humans and Mousterian tools has enabled the site to be identified as a hunting area for Neanderthals (Homo neanderthalensis). But the most surprising thing about the site is the presence of a large quantity of bone remains of these hominids, many of which are yet to be analysed. Now, a study published in the ‘American Journal of Physical Anthropology’ has for the first time analysed the fragments of three individuals found between 1967 and 1980 at the French site dating back some 57,600 years. These are an incomplete diaphysis (middle part of long bones) of a right radius, another of a left fibula and the majority of a right femur. The latter belonged to a child. 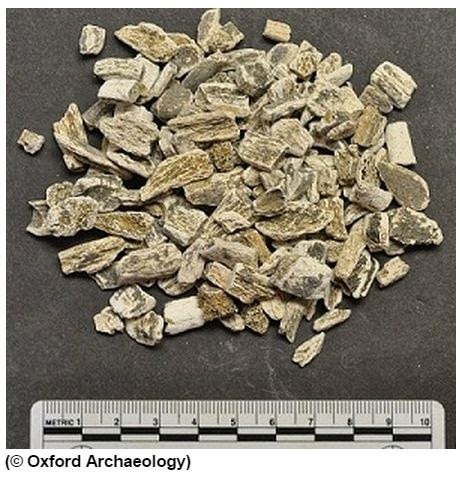 It had been thought that the nomadic hunter-gatherers of Britain’s Mesolithic period may have abandoned their dead, but a deposit containing cremated human bone was uncovered by a team from Oxford Archaeology in southeastern England. The bone probably represents at least one adult, whose remains were recovered with a large amount of charcoal, perhaps from a pyre that would have had to have reached a high temperature to achieve the complete combustion of the corpse. “We were expecting this cremation to date to the Bronze Age: we were so surprised when the first radiocarbon date came back as Mesolithic that we did two more to double check!” said Nick Gilmour, excavation leader. Sharp flint blades were found in the same pit, and although they were not finished tools, they could have been used for cutting. Three similar Mesolithic cremations are known in Ireland, and several have been found in continental Europe. For another find dating to this period, see "Beachcombing in the Mesolithic." The battered remains of a medieval man uncovered at a famous cathedral hint that he may have been a Norman knight with a proclivity for jousting. 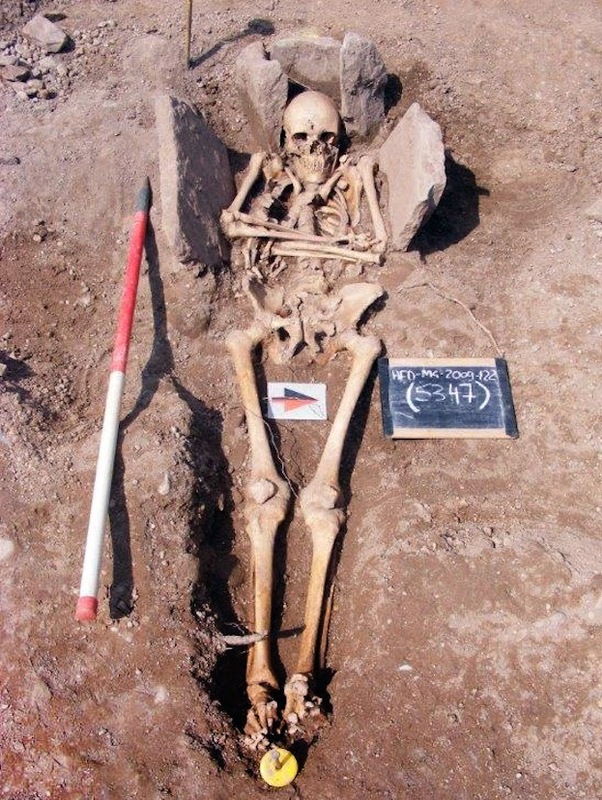 The skeleton of the medieval man, a possible knight, in his stone grave [Credit: Headland Archaeology] The man may have participated in a form of jousting called tourney, in which men rode atop their horses and attacked one another, in large groups, with blunted weapons. Archaeologists uncovered the man's skeleton, along with about 2,500 others — including a person who had leprosy and a woman with a severed hand — buried at Hereford Cathedral in the United Kingdom. The cathedral was built in the 12th century and served as a place of worship and a burial ground in the following centuries, said Andy Boucher, a regional manager at Headland Archaeology, a commercial archaeology company that works with construction companies in the United Kingdom. France has inaugurated a giant replica cave containing reproductions of prehistoric drawings of animals. The original drawings, showing bears, panthers, rhinos and other creatures, are roughly 32,000 years old. President Francois Hollande toured the site on Friday - a copy of the closely-guarded Grotte Chauvet in the Ardeche region of southern France. The original is closed to the public. The copy, at nearby Vallon-Pont d'Arc, is expected to attract many tourists. The Chauvet drawings are believed to be the oldest cave art in the world. The limestone cave, with hundreds of vivid charcoal images, was discovered by potholers in 1994 and is now a Unesco World Heritage site. Is the National Trust becoming a 'bizarre joke'? The National Trust's director general, Helen Ghosh, has said many National Trust properties have too much "stuff" in them. Ickworth House, Suffolk, has taken out some furniture as an experiment, upsetting art historians. Is the organisation dumbing down? Ickworth House in Suffolk is not a likely venue for a revolution. It is a fine Italianate country house, with a rotunda, a Hogarth, Titian, Velázquez, a clutch of Gainsborough portraits, and – on the day I visit – a buzz of happy visitors enjoying the fine Easter weather in the gardens and orangery. There are even baby lambs gamboling in the park. This, if you pay the £35 family entrance ticket, is almost the perfect National Trust day out. But into this scene of Regency perfection has been lobbed some bean bags. They might as well have been grenades, for the rumpus they have caused. 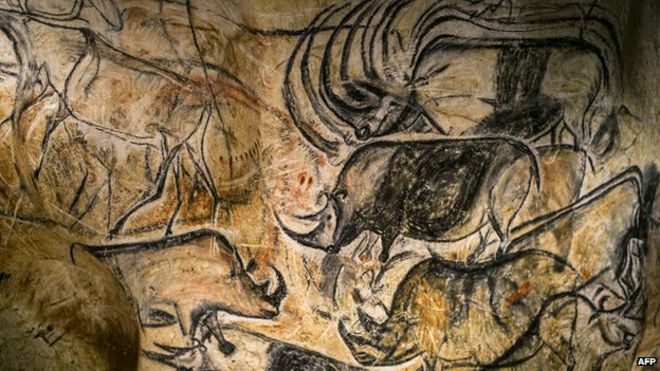 A stunning replica of the 36,000 year-old Grotte Chauvet, home to the oldest figurative cave drawings in the world and an Unesco Heritage site, is to be officially opened by President François Hollande on Friday. Here's a look inside. The French president will officially inaugurate the museum on Friday before its opening on April 25th. Looking south across the western part of the site. The enclosure wall can be seen on the right of the picture whilst the western end of the ovoid building can be seen at the left. Last year (2014), Achill Archaeological Field School detailed the background to an exciting excavationthat was about to begin on Slievemore Mountain, on Achill, the largest island in Ireland, located off the north west coast of County Mayo. The site was first noted on the 1838 edition of the Ordnance Survey map where the labels ‘Cromlech’ and ‘Tumulus’ are used, apparently relating to two separate but adjacent sites a little to the west of a well known Neolithic court tomb. On later editions of the Ordnance Survey map and in most subsequent discussions the two terms are conflated and used to describe all of the visible archaeology in that location. Serious archaeological discussion of the site began in the 1890’s when Col. W.G. Wood Martin described the various elements as a ‘sepulchral complex’. Subsequent opinions have been divided over how the site should be categorised. Are Neanderthal bone flutes the work of Ice Age hyenas? A study in Royal Society Open Science says that so called 'Neanderthal bone flutes' are no more than the damaged bones of cave bear cubs left by scavengers during the Ice Age. The paper suggests that the 'flutes', which are often attributed as being the oldest musical instruments in the world, were misidentified when they were first discovered in the 1920s. The author of the paper, Cajus G. Diedrich, says the bones are the damaged remains of bear cubs left by the teeth of Ice Age spotted hyenas. 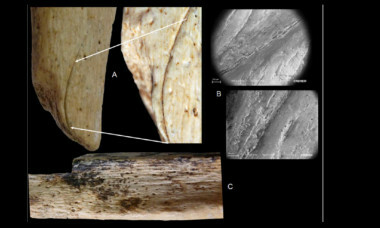 The cave bear bones, discovered in cave systems in Eastern Europe, appear to have aligned holes drilled into their lengths which makes them resemble broken flutes. In past work researchers have identified the holes as matching with a musical diatonic scale sequence, among the most widespread of musical scales known, and cited this as evidence that the bones are early musical instruments. Some musicians have even been able to create music from replicas of the bones. Bodies found in a 200 year-old Hungarian crypt have revealed the secrets of how tuberculosis (TB) took hold in 18th century Europe, according to a research team led by the University of Warwick. A new study published in Nature Communications details how samples taken from naturally mummified bodies found in an 18th century crypt in the Dominican church of Vác in Hungary have yielded 14 tuberculosis genomes, suggesting that mixed infections were common when TB was at peak prevalence in Europe. The research team included collaborators from the Universities of Warwick and Birmingham, University College London, the Hebrew University in Jerusalem and the Hungarian Natural History Museum in Budapest. Lead author Professor Mark Pallen, from Warwick Medical School, said the discovery was significant for current and future infection control and diagnosis. Almost 6,000 years ago, the man was placed behind the woman with his arms around her body, and their legs were intertwined. They were buried. Why they were interred in this manner is not yet determined, but the international team that discovered them in Greece is still searching for answers, according to team member Michael Galaty, a Mississippi State University archaeologist. "There've only been a couple of prehistoric examples of this behavior around the world, but even when couples are buried together, they're beside each other and not typically touching," he said. "This couple was actually spooning. We assume they were partners of some kind, and because of DNA analysis, we do know they are male and female." Not only does Galaty head MSU's anthropology and Middle Eastern cultures department, but he also serves as interim director of the university's Cobb Institute of Archeology. The frozen ground around Ilulissat Ice Fjord in western Greenland is a treasure trove for archaeologists. The permafrost in this area, which is on the UNESCO World Heritage list, acts like a giant freezer, preserving the remains of the three major cultures of Greenland’s past in deposits known as kitchen middens -- essentially ancient dunghills created by the early cultures on Greenland. These are the Saqqaq, Dorset and Thule peoples, who at various times in the last 3500 years all lived in the old settlement of Qajaa, in south Greenland. Scientists from the University of Liverpool are developing a new carbon dating technology that could revolutionise field archaeology. 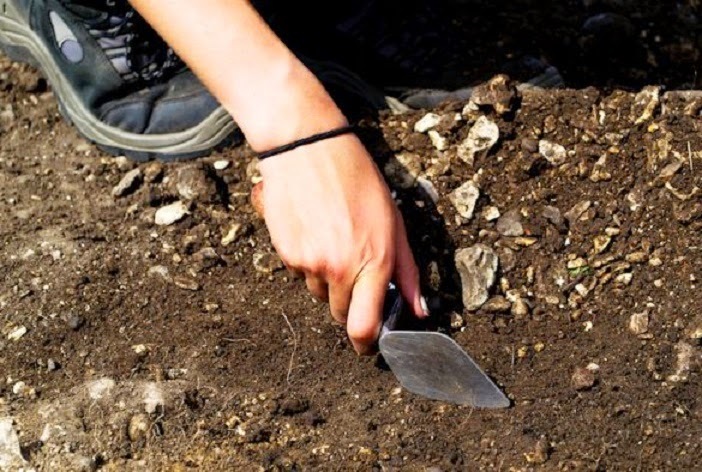 In partnership with Norton Priory Museum & Gardens and supported by funding from the Arts Council England, they will develop a new technique which will make it quicker and easier to date archaeological finds. Radiocarbon dating is used to determine the age of ancient objects by means of measuring the amount of carbon-14 remaining in a sample. However it is an expensive process which takes place offsite and typically takes six weeks or more which means that an excavation is likely to be over before the important dating information can be obtained. Samples from mummies in a Hungarian crypt have revealed that multiple tuberculosis strains derived from a single Roman ancestor that circulated in 18th-century Europe, scientists said Tuesday. Their findings, published in the journal Nature Communications, drew on a remarkable, if gruesome, source. In 1994, workers restoring a Dominican church in Vac, Hungary, stumbled upon the remains of more than 200 people whose corpses had become naturally mummified. The individuals, many of them wealthy Catholics, had been placed fully clothed in coffins in the church crypt just north of the capital Budapest between 1731 and 1838. 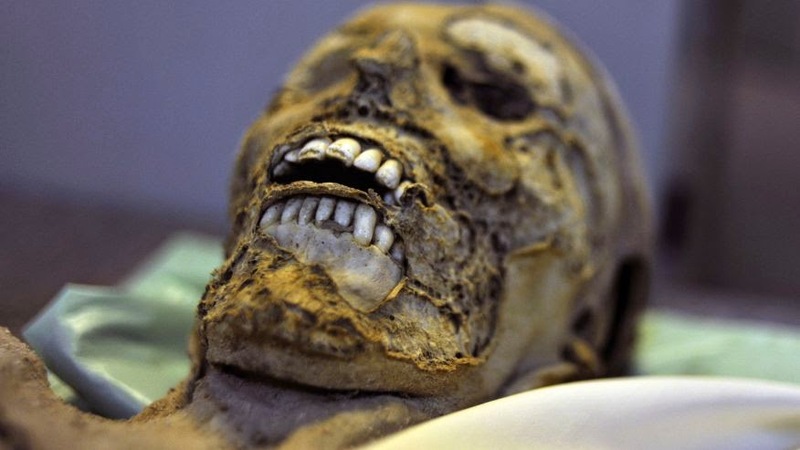 A microclimate of exceptionally dry air prevented the bodies and garments from rotting. In the middle of the 13th century the Vikings who had settled in Greenland encountered no less than ten years of harsh and cold winters and summers. The Norsemen, who were living as farmers, bid farewell to many of their cattle during that period. The Greenland Vikings were also prevented from setting sail to fetch supplies from their homelands in Europe because they didn't have enough timber to build trading ships. So when Scandinavian traders didn't happen to pass by they were left entirely on their own. But this didn't knock them out; on the contrary they lived with the worsening climate for almost 200 years during what we later would call the Little Ice Age. This is the conclusion of a new Ph.D. thesis. 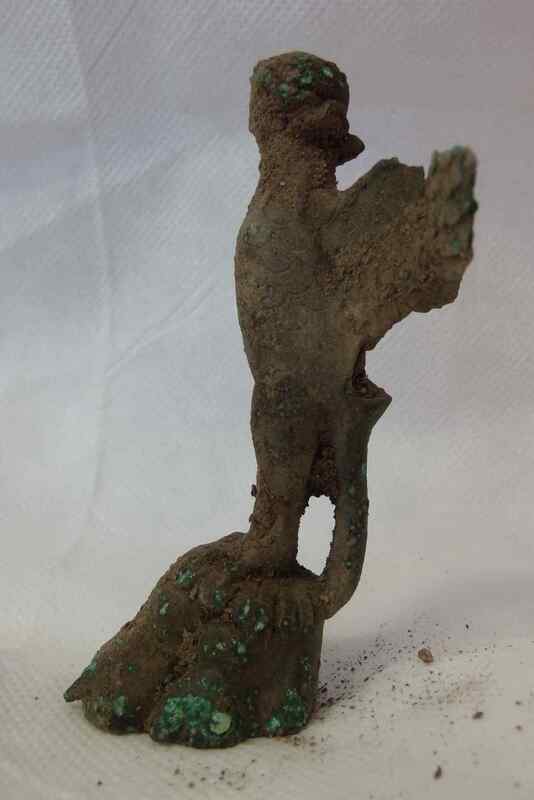 A small, bronze figurine was discovered along with fragments of Roman pottery and roof tiles at an excavation at Moverons Quarry in southeastern England by archaeologist Ben Holloway of The Colchester Archaeological Trust. The four-inch-tall statue, which has not been cleaned or conserved yet, depicts an upright bird with feathers, talons, and a woman’s head with braided hair. Its small wings are open, and it has a serpent’s tail that functions as a support. The figure is thought to represent a harpy, a creature from Greek and Roman mythology. The three harpies were the daughters of Thaumas and Electra, and were named Aello, Ocypete, and Celaeno. Previous scholarship has shown a link between foraging and farming lifestyles and the adoption of particular ornaments. 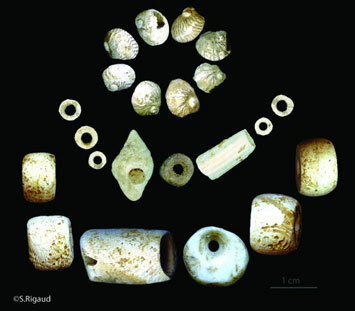 Now, for the first time, a team of researchers from the Center for International Research in the Humanities and Social Sciences (CIRHUS), a collaborative arrangement between France’s National Center for Scientific Research and New York University, has studied the beads and bracelets worn by Europeans during the early Neolithic period to trace the spread of farming on the continent. They examined more than 200 bead types from more than 400 European archaeological sites spanning a 3,000 year period. Ornaments linked to farming populations, such as human-shaped beads and bracelets composed of perforated shells, spread from eastern Greece and the shores of the Black Sea to France’s Brittany region, and from the Mediterranean Sea northward to Spain. 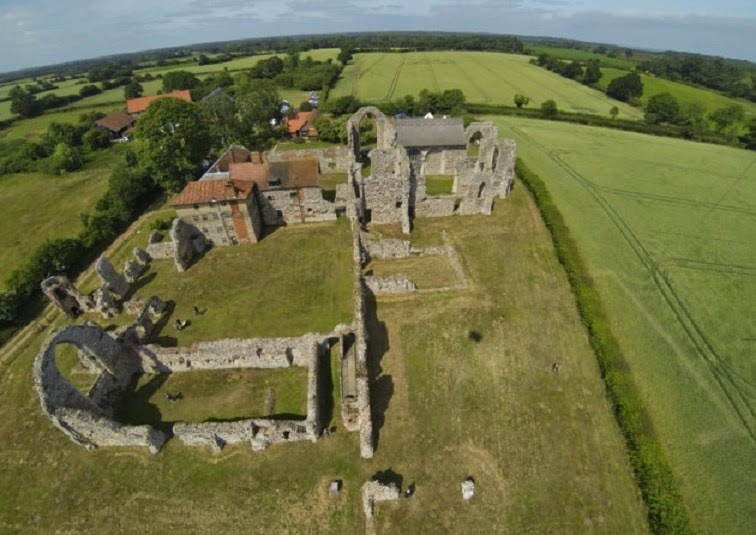 Archaeologists are hoping to unearth more hidden secrets when they return to Leiston Abbey in search of a lost infirmary this July. It will be the third time DigVentures has led a crowdfunded dig at the 14th century ruin – with members of the public again invited to grab a trowel and get involved. Gossip got out after the first excavation that the bones of Suffolk folklore monster Black Shuck had been found in the trenches. The huge carcass turned out to be the remains of a very large domestic dog, but the discovery caused no less excitement among experts from DigVentures, who have seen the dig gain in popularity since it began in 2013. 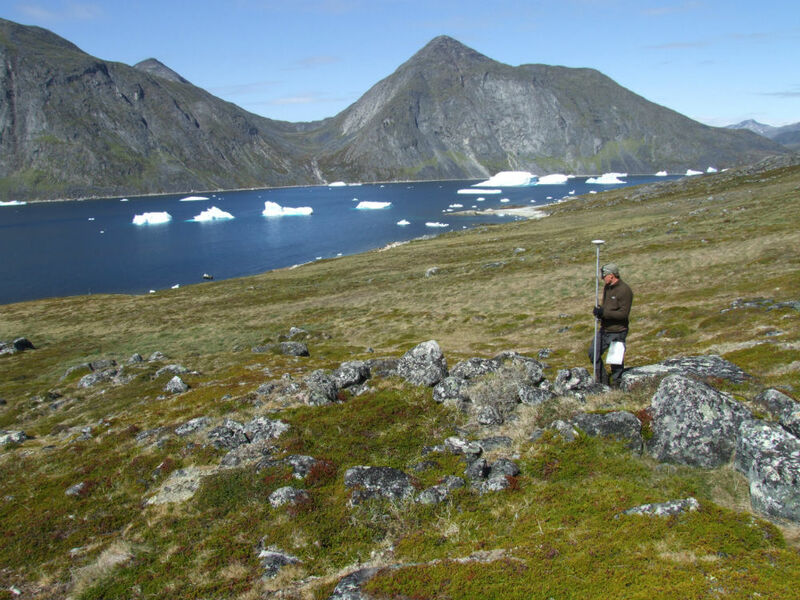 Vikings in Greenland survived the Little Ice Age for much longer than previously thought, according to comprehensive studies of the landscape conducted by archaeologist Christian Koch Madsen of the National Museum of Denmark. “The stories we have heard so far about the climate getting worse and the Norsemen disappearing simply don’t hold water,” he told Science Nordic. He says that there were no more than 2,500 people living in Greenland in the middle of the thirteenth century. Earlier estimates have placed the population as high as 6,000. “When the harsh climatic changes began to set in, we can see that the outermost farms were gradually abandoned.